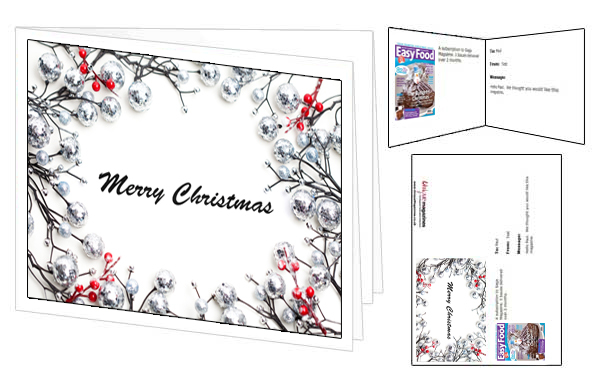 Our FREE vCard service enables you to order a magazine subscription as a last minute gift, and print out a snazzy Gift Card in seconds which you can give to your gift recipient to tell them about the fantastic Gift Subscription you have purchased for them. A friend reminds you it is their birthday today. Don't worry, just order a magazine subscription, print a vCard, and tell them you had it arranged for weeks. Phew! Your girlfriend reminds you that it's the 7 week anniversary of the time you went out for your first meal together (how could you forget). You get the idea. Last minute gifts, that last all year, and a personalised gift card. Well Done! Once you have placed your order it takes seconds to create, print and fold your vCard. When you have placed your order your email will contain a link to "Print a vCard". Just click on that link to start the process. You can create as many vCards as you want. So if you order 10 subscriptions, just create 10 individual vCards. Creating a vCard is simple. You just select a design from a growing selection of designs aimed at Christmas, Birthday, Congratulations, Mothers Day, Valentines and other seasonal events. Then, enter a simple To, From and Personal Message, and then click on a button to download your vCard. The vCard is downloaded as a PDF file, to ensure that the card prints out accurately. For this you will need Adobe Reader, but most people have that already. If not it is a free download. 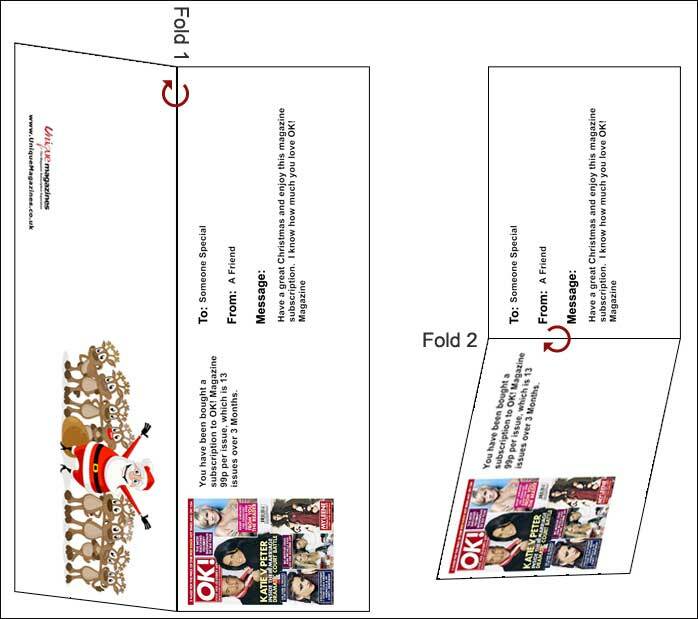 Once you have printed your vCard, you need to fold it in 2 placed to turn it into a Greetings Card. Fold 1: Simply fold the paper in half down the longest length. You will then have the inside of your card on one side, and the front and back cover on the other side. Fold 2: This time fold closed the card so that the front design is on the front, and the message is on the inside.